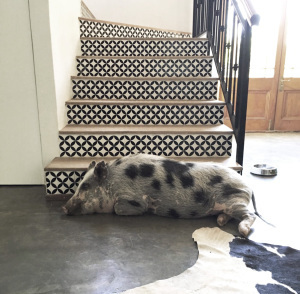 When sharing images of our products, we always try give some inspiration and new idea’s! 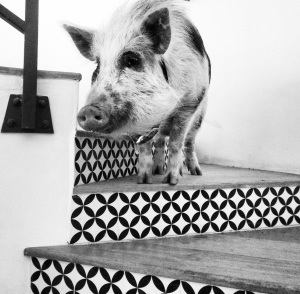 Meet Spek the pet pig of Mareli Basson, definitely the feature of todays blog post. 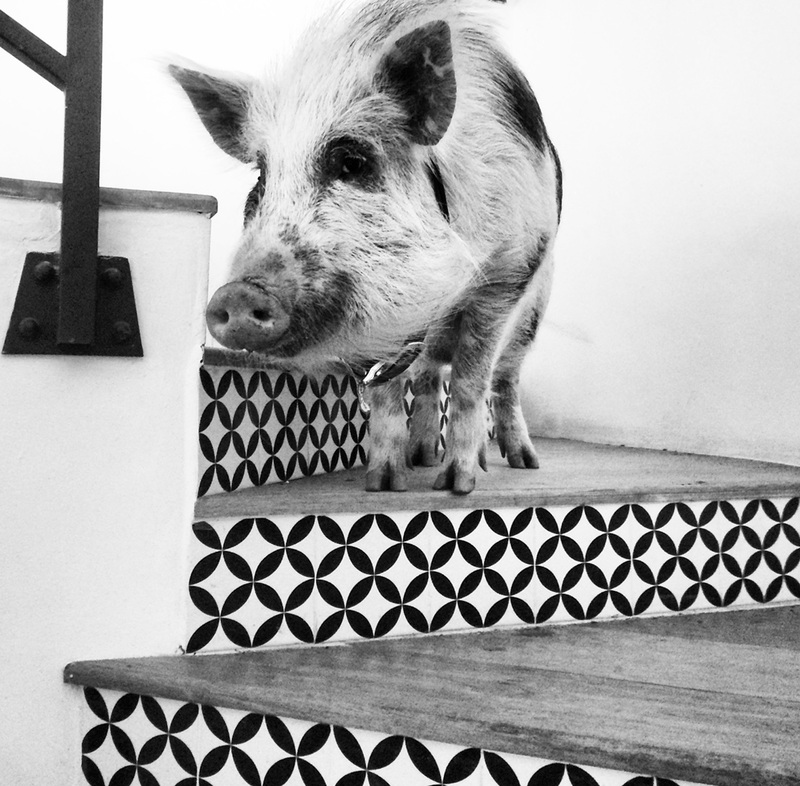 Having him set against the backdrop of the Circled Flower staircase installation was just a perfect combination. 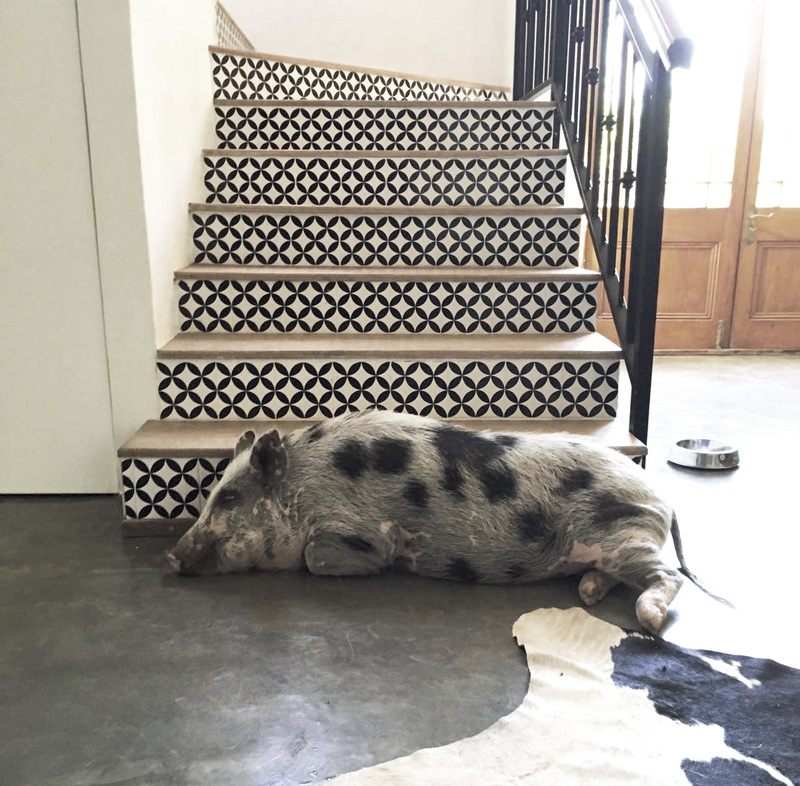 Thank you to the Basson’s for their vision of our tiles in their beautiful home – and of course, thank you to Spek for being a pet with a difference.